Like its alternative culture and attractions on offer, Athens’ energetic dining scene has matured in recent years—which is why dining at the best Athens restaurants is equivalent to a culinary history lesson of sorts. You’ll still find traditional tavernas in the city, but they’re joined by trendy restaurants offering premiere versions of Greek classics and 'olde worlde' recipes fused with modern touches (moussaka made with crayfish, for instance). Wherever you go, you’ll notice a focus on locally-sourced and high quality produce, meaning that whether you’re tucking into a grilled meat platter with a sea view or an exotic dessert somewhere hip, your plate will be full of fresh flavours. 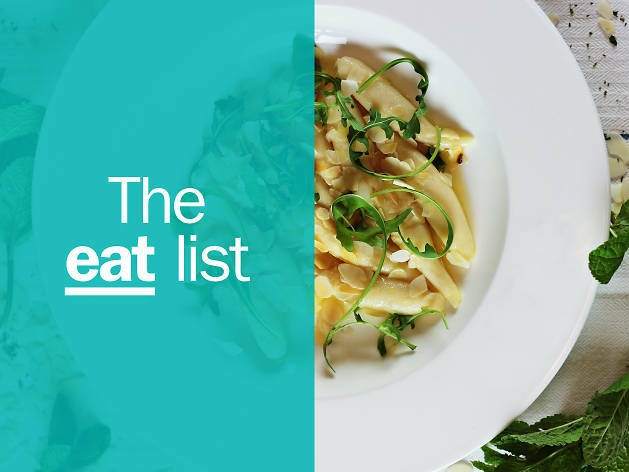 Find out where to get the best at our pick of the top restaurants in Athens. Why go? For traditional Greek food, music and dance. This family-run taverna has been going strong since 1927 offering evenings packed with Mediterranean food, music and dance – a combination that Greeks love. The tis oras – a grilled meat platter – is especially delicious. It includes biftekia, grilled meat patties seasoned with Greek spices, as well as lamb and pork chops. Plus, considering Klimataria translates as ‘grape vines’, it’s no surprise that the local wine served here is always great. Why go? For the traditional Greek deli experience. This Byzantine pastomageireio, a tavern and deli in one spot, is set in a neoclassical house. 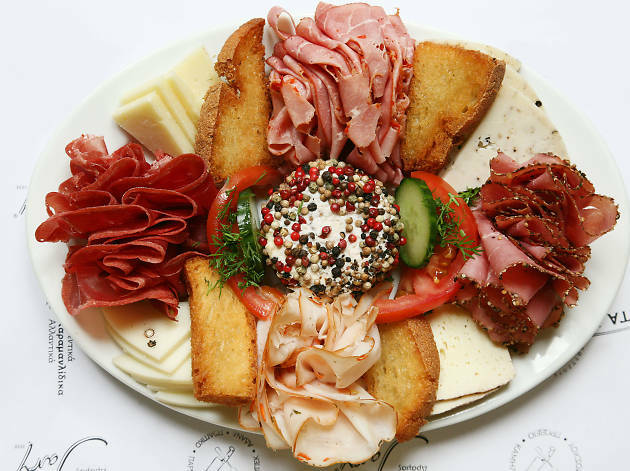 Expect to find an array of Greek cheeses and cold cuts in the deli. 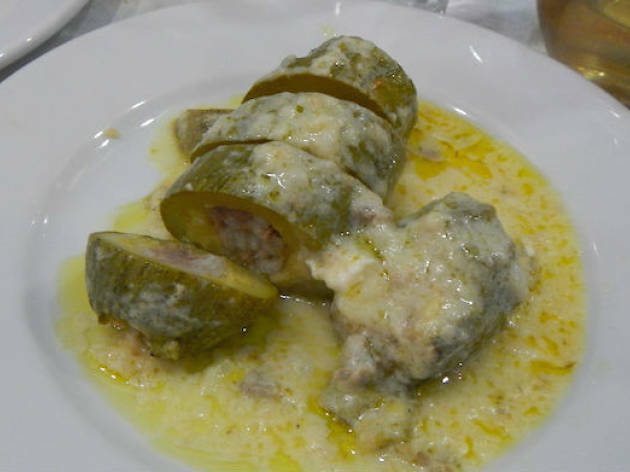 The restaurant serves traditional regional dishes, like fried eggplant and zucchini in a Cappadocian sauce or saganaki cheese cooked with dried meat called pastourma, beef sausage and eggs. Why go? For a Michelin-starred experience by the sea. Varoulko is one of the most elegant sea-view spots in the city. The Michelin-starred chef Lefteris Lazarou specialises taking traditional Greek dishes and adding a creative and flavourful seafood inspired touch. For example, his take on the usually minced-meat-laden moussaka casserole is made with crayfish. Make sure to try the marinated sea bass prepared with wild greens called stamnagathi too. All while you take in the postcard-perfect view of Mikrolimano harbour, the sailboats, yachts and tiny fishing boats floating in the distance. Why go? It may have a cheesy name, but Funky Gourmet provides true art in its dishes. 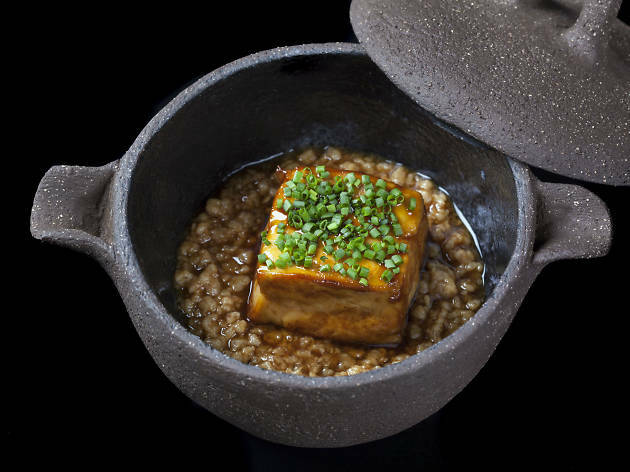 Science meets fine dining at this Michelin-starred joint. Funky Gourmet's chefs push boundaries with unique textures, shapes and tastes thanks to experimentation with molecular menus. This is more of an experience than a meal, though you won't go home hungry. The Cuttlefish Oreo is worth braving, as is the selection of innovative takes on traditional Greek grub in the 'Picnic' spread. Why go? For fine dining on Athens’ most scenic terrace. Boasting a balcony perched on Lycabettus Hill, one of the highest peaks in Athens, the views from Orizontes are god-level. 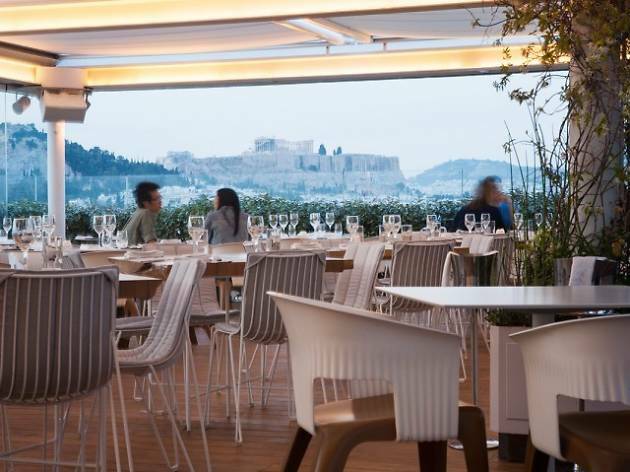 Sit outdoors come sunset – with the ancient Acropolis, Aegean Sea and the city sprawled below – and you’re guaranteed to feel like you're dining in Olympus. 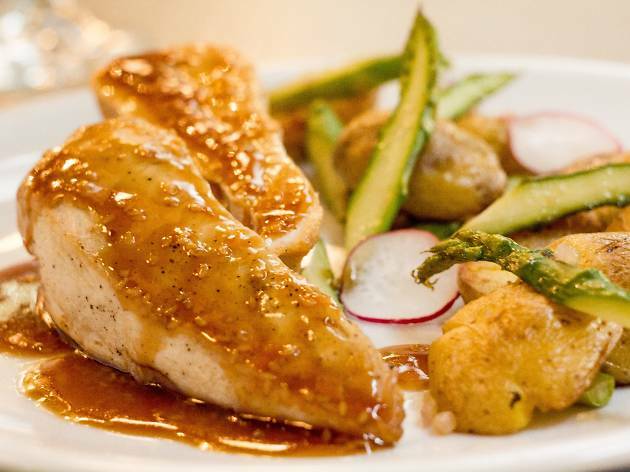 The restaurant is equally acclaimed for its food: Mediterranean dishes that incorporate seasonal ingredients. Go for the pork tenderloin with vegetables in feta cheese, honey and sesame if it’s on the menu. It’s rich, moreish and will blow your mind. Why go? To chow down on a doughnut with a difference. 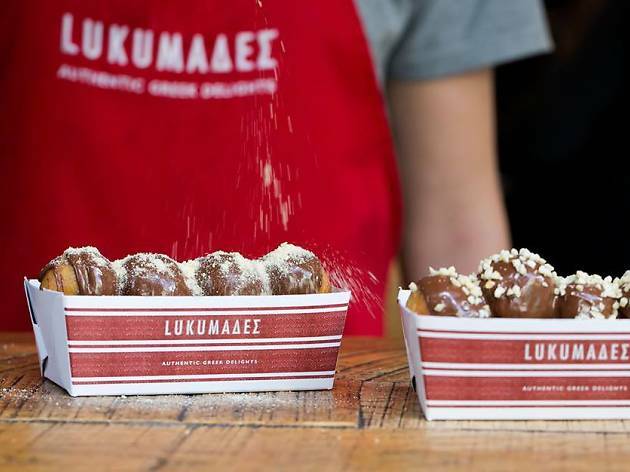 Most European cultures have their version of doughnuts, but Greek loukoumades are arguably one of the tastiest. They're perfectly fluffy fried dough balls topped with Greek honey and cinnamon. At Lukumades dessert café, lines of locals come to indulge in much more sinful versions. Creative toppings and syrups are drizzled on and they’re sometimes accompanied by scoops of creamy ice-cream made with mastiha (a resin from the mastic tree). Why go? To taste some of Greece’s most unique flavours. Greek cuisine is always elegantly presented at this Michelin-starred restaurant that occupies the sixth floor of the Onassis Cultural Center. Here, dishes are created with wild herbs, fresh vegetables, meat and seafood options – all sourced in Greece. A multi-course menu encourages anyone new to Greek cuisine to indulge in distinct flavours, including sea bass carpaccio, orange-scented pork and inventive desserts with a Greek touch. Why go? 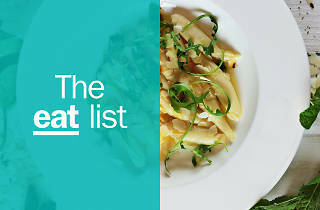 To tuck into the city’s best quick bites. Gyros are the classic fast food of Greece. They’re hot pitas piled high with grilled meat and stuffed with onion, tomatoes and lettuce. 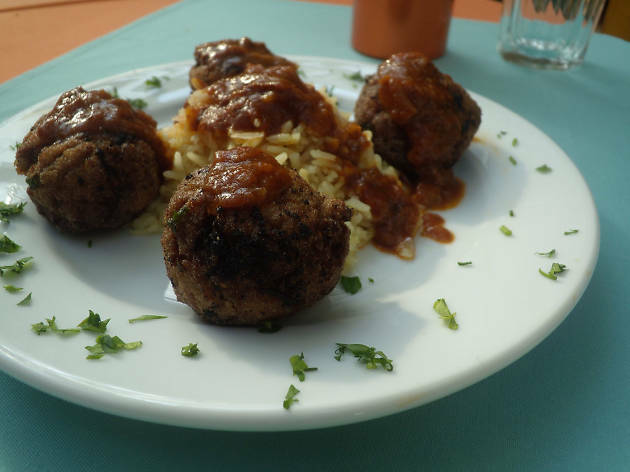 They’re juicy and delicious, and O Kostas does some of the best in Athens. 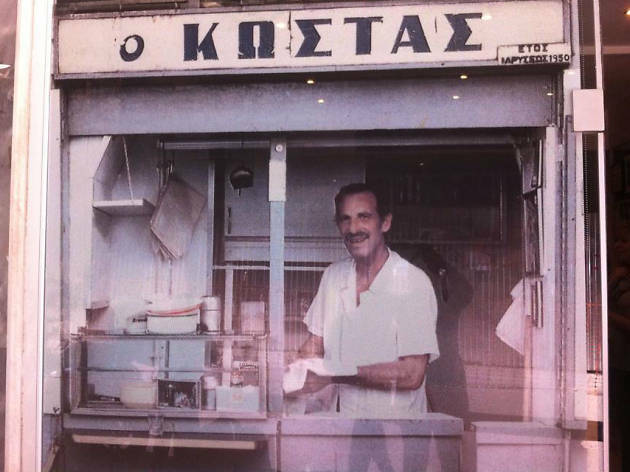 There are always lunchtime lines of locals at this no-frills shop, which is thanks to owner Kostas’ simple but tasty recipe passed down from his father. Why go? To experience a hidden neighbourhood Greek taverna. Tucked down a small street round the corner from the Acropolis Museum is a Greek taverna run by two generations of local family, the Bakatselos. They all pitch in to help in the open kitchen, cooking up family recipes and making guests feel at home in the no-frills dining space. The family has been serving traditional meals here for more than three decades, sticking to the old way of doing things. There's no set menu, rather a display of what just came out of the oven. Why go? 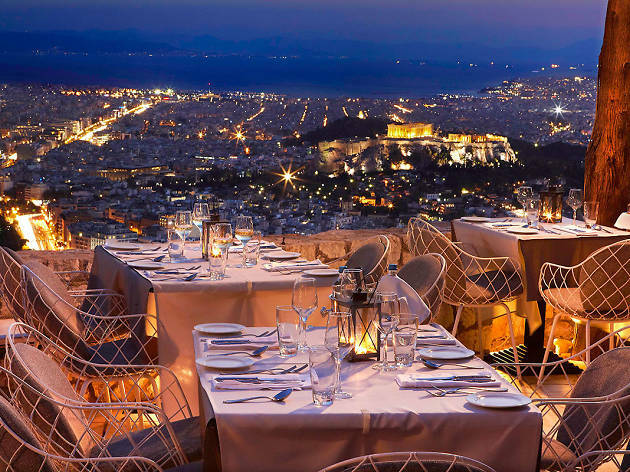 To dine with stunning views of the Acropolis. 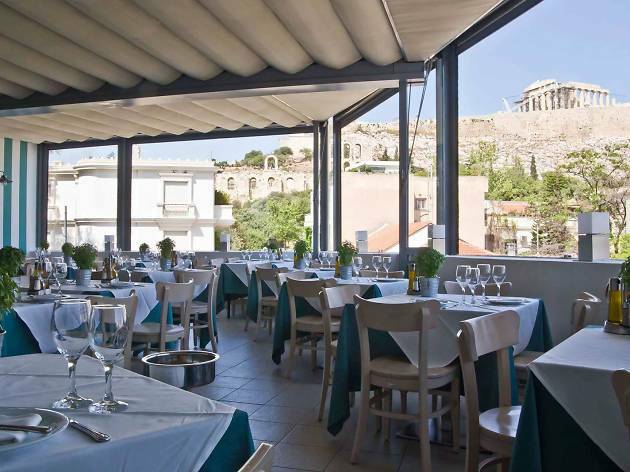 The view of the Acropolis from Strofi’s roof terrace is one of the most impressive in town. The cuisine is impressive too, featuring a menu of traditional Greek dishes to experience, including meze appetizers such as smoked eggplant and a smooth cool yogurt tzatziki dip. A classic main is the roast lamb stuffed with Greek cheese. Why go? Locally sourced Greek food. The Greek bistro experience at Nice n Easy places an emphasis on Greece’s organic products – from traditional pasta to organic vegetables and hearty dishes that incorporate meat from organic farms. 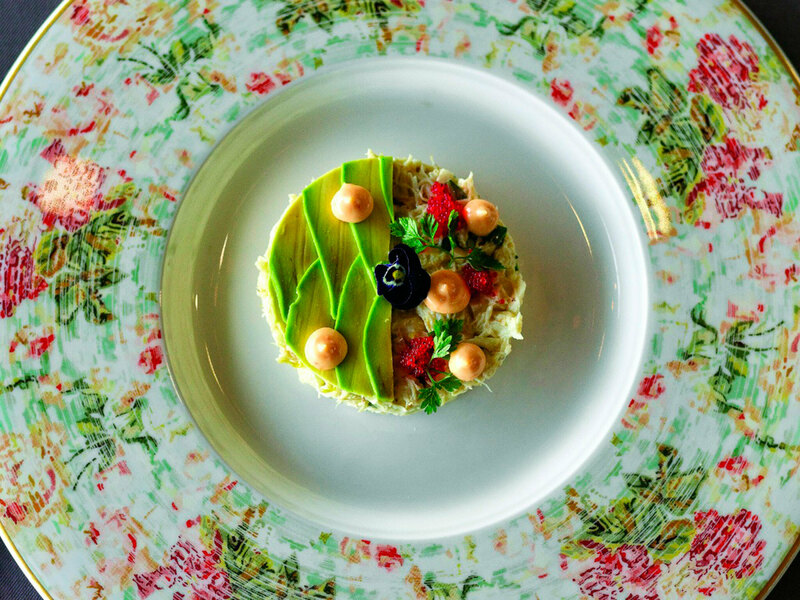 The farm-to-table concept is combined with a cool and laid-back restaurant atmosphere reminiscent of 1950s Hollywood (even it’s name is inspired by a Frank Sinatra song). Try the Bogie and Bacall, skewered chicken kontosouvli marinated in Greek beer with sun-dried tomatoes or the unique Coppola zucchini pasta served with buffalo meat and marinated with a florina pepper sauce. 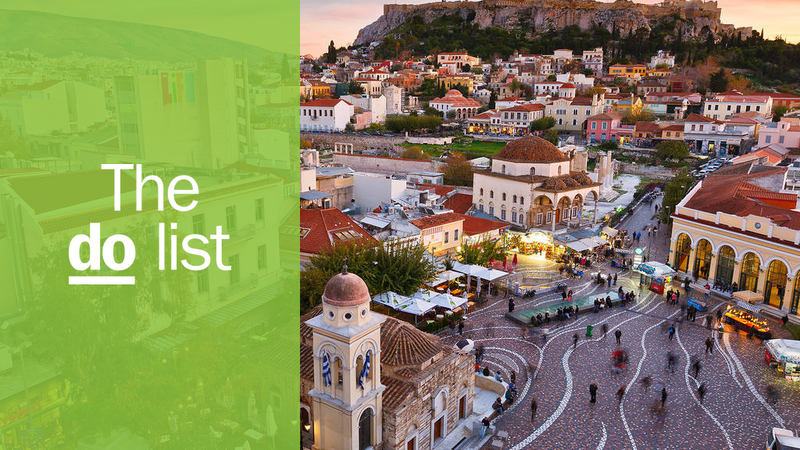 Athens is Greece's cosmopolitan heart: city of the ancient, historic, hip and modern. 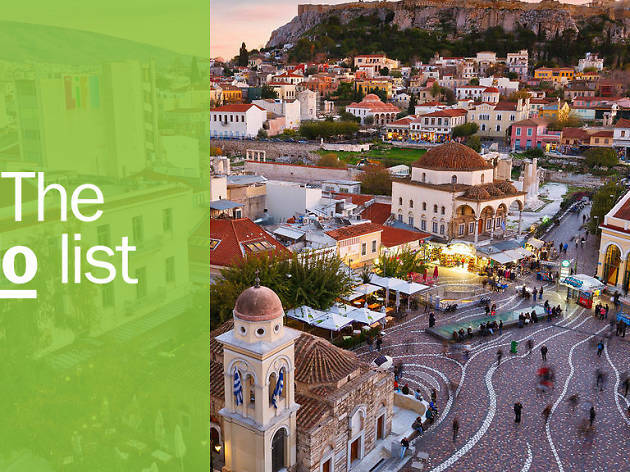 Go and soak it in with our helpful guide to the best things to do in Athens.